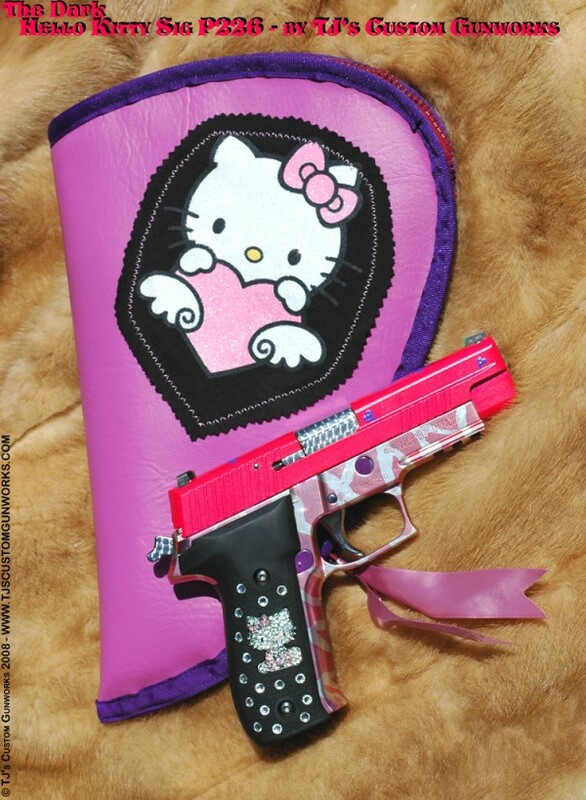 A little while back, Forrest Black found a mention of the existence of a Hello Kitty handgun. I felt I had to find the source for this little gadget. It is supposedly mostly aimed at the ladies, but I think any gender could carry it with the right accessories. 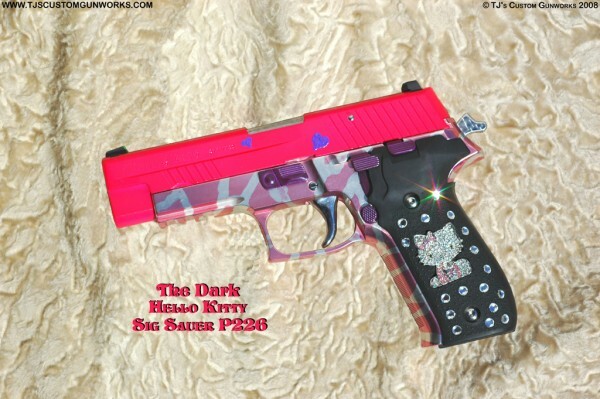 The Dark Hello Kitty inlayed Blackwater Sig Sauer P226 from TJ’s Custom Gunworks is probably the perfect gun for the fabulous drag queen, although I can’t say whether the artisans market it that way. TJ’s will customize handguns with neon colors or spikes or whatever fantasy fun you’d prefer with your fully functional firearm. I admit that I think it would be kind of hilarious to shoot someone with a super cute handgun.